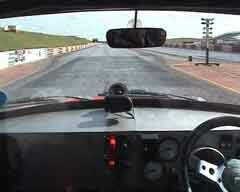 A 360 degree video at a Shakespeare Raceway RWYB and 2nd round of the Pro Street Drag Series. 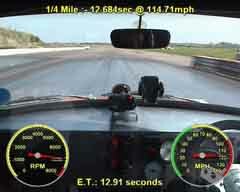 Not a great time at only 12.6@113mph, down from the best turbo run of 11.8@118mph. The engines and transmissions are showing their age I think, hopefully all will be resolved and improved during the winter rebuild this year. Also found the camera was not in full resolution thanks to a firmware update resetting it all so not quite as good as the previous 360 videos but it does show the G forces at work since the camera attempts to make itself level so the acceleration affects the pitch. 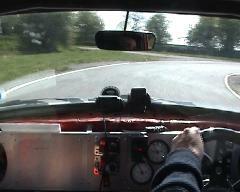 A 360 degree video at Retro Rides on the Shelsley Walsh Hill Climb, was great fun but taking it easy on my first ever hill climb day. Was a really good show that I will attend again next year and hopefully do some competition also during 2017. Was very happy with the quality of the 4k 360 degree footage on the new camera, was expecting some jellification due to the vibration and CMOS sensors but it was rock solid. Needed to set the exposure manually though so it's a bit of a whiteout in the windows. At last turbos both up and running and off for some drag racing, only running about 7.5psi at the moment and very conservative on the timing\fuelling. 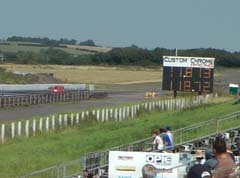 Although it didn't beat the previous best of 11.66 only managing an 11.81 it did improve on the terminal speed from 116mph to 119mph with the loss in time being caused by slower 60ft time likely due to the front now really struggling for grip and also the rear down on initial torque without the large nitrous boost. The increase in top end is quite a feat considering the turbo setup has probably added yet another 50kg to the car's weight (+ another 10kg from me lol) Next up is some new wider, stickier tyres compared to the narrow 175\50x13 A539's currently fitted (likely Toyo R888's in 225/45x13), a decent oil cooling setup and then on to some mapping to optimise things a bit better. 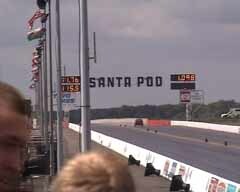 The last round of the Pro Street drag racing for this year, only an 11.8@116mph. Tried out 100hp nitrous on the rear to see if it would hold together with the stock transmission and it seemed to be ok apart from it had too much torque and was spinning the rear tyres now which explains the not very good time. Hopefully get some better rubber on there for next year. Used both cameras on this run so could put inside and outside, discovered that the new HD camera won't work in the car, which is a disappointment, due to CMOS type sensors not coping with vibration compared to the CCD type used in my older camera. Had a magazine photo shoot in Sept at Santa Pod with Practical Performance Car. This was also their £999 Challenge day so I had the opportunity to take the feature writer for a couple of drag runs and also a quick run around their autotest circuit which was good fun. As the track was so short I was able to stick the automatics both into 2nd gear as down shifing manually would have been difficult with 2 gear sticks lol. This should be resolved for next year with the addition of a single ratchet shifter. 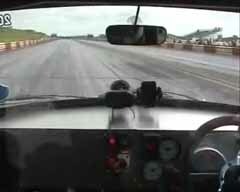 The second trip out to a drag strip with the new automatic transmissions for the Performance Vauxhall weekend at Santa Pod. With the speed sensor problems resolved the mini ran a 12.55@109mph then with the addition of 50hp NOS did an 11.760@115.55mph. The 60ft times were improved dramatically with the addition of the nitrous coming down from 2.05 to 1.83 on this video of the 11.76 run but the next day pulling consistent 1.76's but with a headwind only an 11.88@112mph. 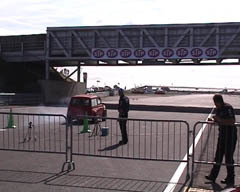 The first event for the mini of 2009, now including a little shot of the nitrous (only 25hp on the rear engine for this run as it is still in testing) and a new PB of 12.68 seconds. While this is only marginally quicker than the best the mini has managed the previous best of 12.69 seconds was set when the car was around 50kg lighter (and I was about 20kg lighter too). The 60ft time was pretty poor compared to the consistent 12.8 second runs at the previous event so I expect a low 12.6 or 12.5 in current setup with a better launch. You can just about hear the nitrous when going through the first gear. Some very strange handling issues during a RWYB day at Shakespeare Raceway, had snapped the front right engine mount into 2 pieces and also located a very bent top arm on the front passenger side. Now made a very strong mount to replace the rubber one with a bolt all the way through so shouldn't break again. Made for an entertaining start to the run however as a side point the car really hooked up off the line with the new Quaife ATB diff installed even in 1st gear. 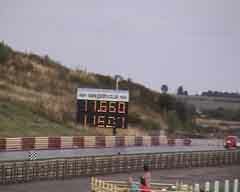 At a test and tune day at Shakespeare County Raceway I ran a 12.8second 1/4 mile which was similar to the previous events but recorded from outside the car so I thought i'd add it to the multimedia library. Always have a go at the 0-60 at Trax although i'm never certain of the accuracy of the timing gear :) Here at the 2007 event I did 4.4sec 0-60 here which isn't my best as had given the traction control at the front too much allowance as can be seen from the front tyre smoking away but good fun none the less. 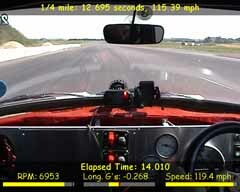 For a bit of fun I attended the Curborough Sprint Circuit with the 200+ Club on the 19th April 2007. There wasn't any timing setup but this clip shows the traction control in action, it's most noticeable as entering the short main straight from the hairpin with the front scrabbling for grip and the traction control bringing it back into line with the rear. 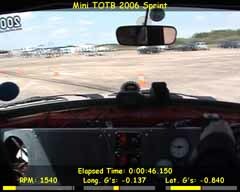 The Mini's first public appearance (Mini Showdown 2006) at Shakespeare County Raceway had very large traction problems not having the assistance of a front LSD of some type causing massive wheelspin when launching in 2nd gear at any decent rpm. In the end I decided to try and let the engines bog down at the launch hopefully eliminating the wheelspin so the power was put down properly. This made the 60ft time no quicker than a high rpm launch but it gave both engines the chance to power away albeit out of the torque band initially but still helped it along to a respectable first event effort of 12.695sec 1/4 mile @ 115.39mph. Came 4th Place in Class 'J' and 6th place overall which i'm very happy about for the cars first time out. Both the Mini engines spark into life for the first time together. 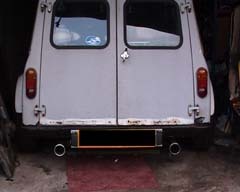 First one started is the front followed by the rear then the front is switch off leaving only the rear. I was surprised that the rear wasn't as loud as expected due to such a short exhaust system but it will probably be much louder when under load.